We had a very successful conference at the Iowa Lakeside Lab. We live streamed many sessions which are available on the Cool Planet Facebook page. Many sessions at the conference were recorded and are available on this YouTube playlist. Photos from the conference in this Flickr album. 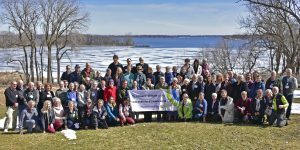 Find information from the previous March 2017 North Wind Regional Conference here.